We print letterheads on our trusted 70 lb offset paper, a standard stock that is great for both writing and printing. Our 4-color process makes it easy to achieve any color that comes with your letterhead design. This product acts a representation of you and your company; it is an extension of your brand and will visually speak for who you are. A well-designed and printed letterhead establishes your company's credibility in front of present and potential clients. 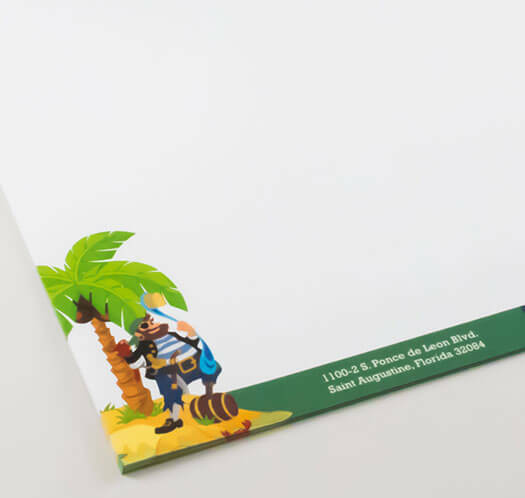 Letterheads are be versatile and are commonly used for invoices, purchase orders, or any other business correspondence. Imagine--a hand written letter on a printed letterhead will look more professional than on any ordinary piece of paper. Your company message can be communicated better with a corporate stationary package. If you are in need of one, our skilled design team can assist you in producing one. Contact us to get started on enhancing your brand identity. 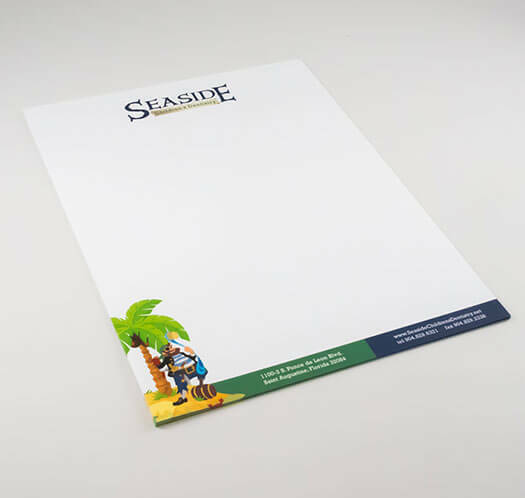 For a one-of-a-kind letterheads made just for you, contact us to speak with one of our product specialists.